1. A godly man prefers God before anything else in heaven. The saint prefers that enjoyment of God, for which he hopes hereafter, to anything in the world. The saints prefer what he hath already of God before anything in this world. If you could avoid death and might have your free choice, would you choose to live always in this world without God, rather than in his time to leave the world, in order to be with him? Were you to spend your eternity in this world, would you choose rather to live in mean and low circumstances with the gracious presence of God, to live forever in earthly prosperity without him? 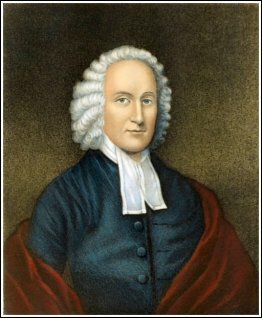 Jonathan Edwards offers perspective and godly wisdom in a sermon that directed his 18th-century hearers heavenward and continues to beckon followers of Christ to the Celestial City. expelled from the church. That is exactly what happened to Jonathan Edwards – America’s greatest intellectual. Within a month of his dismissal, Edwards pens a series of sermons – one of which is entitled The Peace Which Christ Gives His True Followers. That peace which Christ, when he died, left as a legacy to all his true saints, is very diverse from all those things which the men of this world bequeath to their children when they die. It is not surprising that Edwards is inclined to turn to John 14:27, especially in light of the recent events that turned his world upside down. Three central propositions support the doctrine. 1. Christ at his death, made over the blessings of the new covenant to believers, as it were in a will or testament. Edwards clearly shows how Christ promised not only peace but joy and grace and victory over the world. Indeed, we have a delightful inheritance. 2. A great blessing that Christ in his testament hath bequeathed to true followers, is his peace. Two things are granted to believers in this monumental promise. First, Christ bestows true peace and comfort on every believer. Each believer experiences peace with God, peace with one another, and peace within themselves. Edwards notes, “By these means true saints are brought into a state of freedom from condemnation and all the curses of the law of God” (Rom. 8:34). 3. This legacy of Christ to his true disciples is very diverse from all that the men of the world ever leave to their children when they die. Edwards assures believers that Christ’s peace differs from worldly pleasures in four specific ways. Christ’s peace is a reasonable peace and rest of soul. Christ’s peace is a virtuous and holy peace. Christ’s peace infinitely differs from the world, in that it is unfailing and eternal peace. Edwards choice of John 14:27 is certainly no surprise. His resolute handling of the text is no less bewildering, given his gospel-centered track-record as a pastor. The remarkable thing about this sermon is that Edwards forges into the future, unhindered by life-altering circumstances. This is an example of a Christ-exalting hope and a Christ-satisfied faith! Hearken, therefore, to the friendly counsel that is given you this day: turn your feet into the way of peace; forsake the foolish and live. Forsake those things which are no other than the devil’s baits, and seek after this excellent peace and rest of Jesus Christ, that peace of God which passes all understanding. They are reproved by this doctrine who spend their time in wickedness, who do not merely spend their time in doing nothing to any good purpose but spend it to ill purposes. 1. To what effect was the heinous wickedness and obstinacy of the Jews, viz. to fill up their sins. Edwards repeats his doctrine and continues by setting forth 3 primary propositions. There is a certain measure that God hath set to the sin of every wicked man. Edwards explains, “But sometimes the reason why God lets them alone is, because they have not filled up the measure of their sins. When they live in dreadful wickedness, they are but filling up the measure which God hath limited for them.” In other words, each person shall live until they reach the tipping point. While men continue in sin, they are filling the measure set them. When once the measure of their sins is filled up, then wrath will come upon them to the uttermost. God will then wait no longer upon them. 1. Wrath will come upon them without any restraint or moderation in the degree of it. 2. Wrath will then be executed without any merciful circumstances. 3. Wrath will be so executed, as to perfect the work to which wrath tends, viz. utterly to undo the subject of it. 4. When persons shall have filled up the measure of their sin, that wrath will come upon them which is eternal. 5. When persons shall have filled up the measure of their sin, then wrath will come upon them to the uttermost of what is threatened. Sin is an infinite evil; and the punishment which God hath threatened against it is very dreadful. 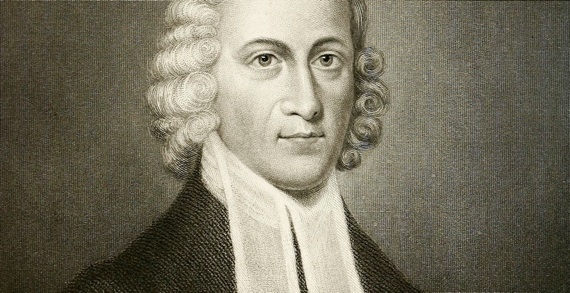 Jonathan Edwards jumps immediately to application and draws the attention of his congregation to three concluding points. He is especially concerned to warn natural men to flee from sin! 1. Under what great means and advantages you continue in sin. Edwards challenges adults who grew up in Northampton and were warned repeatedly to flee from sin. Some have even had what Edwards refers to as “awakenings,” but they continue in sin. He refers to some congregants who “narrowly escaped death by dangerous accidents” yet they continue to persist in their sin. 2. How dreadful the wrath of God is, when it is executed to the uttermost. To make you in some measure sensible of that, I desire you to consider whose wrath it is. The wrath of a king is the roaring of a lion; but this is the wrath of Jehovah, the Lord God Omnipotent. 3. Consider, you know not what wrath God may be about to execute upon wicked men in this world. Jonathan Edwards reminds us of the importance of faith in Christ and the dreadful consequences of anyone who refuses to turn from their sin and flee to him for forgiveness. His preaching may sound strange to the postmodern ear. His theology may be uncomfortable. His tone may appear sharp and uninviting. But these concerns only indicate the great height from which we have fallen. Psalm 65:2 is Edwards text in the winter of 1735, January 8. O you who hears prayer, to you shall all flesh come. Doctrine – It is the character of the Most High, that he is a God who answers prayer. Four headings drive the sermon. Though he is infinitely above all, and stands in no need of creatures; yet he is graciously pleased to take a merciful notice of poor worms in the dust. In his giving such free access to him by prayer. That God is eminently of this character, appears in his hearing prayer so readily. That the Most High is eminently one that hears prayer, appears by his giving so liberally in answer to prayer. That God is eminently of this character, appears by the greatness of the things which he hath often done in answer to prayer. This truth appears, in that God is, as it were, overcome by prayer. He hath by his blood made atonement for sin; so that our guilt need not stand in the way, as a separating wall between God and us, and that our sins might not be a cloud through which our prayers cannot pass. Christ, by his obedience, has purchased this privilege, viz, that the prayers of those who believe in him should be heard. Christ enforces the prayers of his people, by his intercession at the right hand of God in heaven. Edwards draws out many practical applications, the chief of which alerts the saints to make good use of prayer; to be prayer warriors in this wicked age. The sermon is dated, July 1744. Jonathan Edwards is thirty-one years of age. The title of the message is Wicked Men Useful in Their Destruction Only. The text is Ezekiel 15:2-4. If men bring forth no fruit to God, they are wholly useless, unless in their destruction. Edwards seeks to prove his doctrine with four points. That there can be but two ways in which man can be useful, viz. either in acting, or in being acted upon. That man can no otherwise be useful actively than by bringing forth fruit to God; serving God and living to his glory. That if he bring not forth fruit to God, there is no other way in which he can be passively useful, but in being destroyed. In that way he may be useful without bearing fruit. When the saints in heaven shall look upon the damned in hell, it will serve to give them a greater sense of their own happiness. When they shall see how dreadful the anger of God is, it will make them the more prize his love. They will rejoice the more, that they are not the objects of God’s anger, but of his favor; that they are not the subjects of his dreadful wrath, but are treated as children, to dwell in the everlasting embraces of his love. The misery of the damned will give them a greater sense of the distinguishing grace and love of God to them, that he should from all eternity set his love on them, and make so great a difference between them and others who are of the same species, and have deserved no worse of God than they. What a great sense will this give them of the wonderful grace of God to them! and how will it heighten their praises! with how much greater admiration and exultation of soul will they sing of the free and sovereign grace of God to them! First —We may learn, how just and righteous God is in the destruction of those who bring forth no fruit to him. Second — This subject ought to put you upon examining yourselves, whether you be not wholly useless creatures. Third — Another use of this subject may be of conviction and humiliation to those who never have brought forth any fruit to God. Fourth — May people bring forth fruit to God’s glory. In typical Edwardsean form, the Puritan preacher calls people to fulfill the reason for their creation, namely – to glorify the great God of the universe! The Nature and End of Excommunication is a timely and practical sermon. For many churches in our generation simply refuse to exercise church discipline on the unrepentant. This act of passivity is not only cause for grave concern; it is a violation of Scripture. Doctrine: Those members of the visible Christian church who are visibly wicked, ought not be tolerate in the church, but should be excommunicated. Edwards explains and articulates three main headings which support the doctrine. Edwards wastes no time explaining the essence of excommunication: “It is a punishment executed in the name and according to the will of Christ, whereby a person who hath heretofore enjoyed the privileges of a member of the visible church of Christ, is cast out of the church and delivered unto Satan” (c.f. 2 Cor. 2:6). That the church may be kept pure, and the ordinances of God not be defiled. That others may be deterred from wickedness. That the persons themselves may be reclaimed, and that their souls may be saved. That you tolerate visible wickedness in your members, you will greatly dishonor God, and our Lord Jesus Christ, the religion which you profess, the church in general, and yourselves in particular. Your own good loudly calls you to the same thing. From what hath been already said, you see how liable you, as individuals, will be to catch the contagion, which is easily communicated by reason of the natural depravity, in a degree at least, remaining in the best of men. The good of those who are without should be another motive. Benevolence towards your offending brethren themselves, calls upon you to maintain discipline in all its parts. But the absolute authority of Christ ought to be sufficient in this case, if there were no other motive. In this short sermon, Edwards demonstrated the necessity of carrying out church discipline on unrepentant church members. How very far are so many churches from this biblical model? How long will it take to come in alignment with the teaching of Scripture?